I like food. I like rich foods that are full of flavor. I love to eat. This is probably why I got into trouble with my weight in the first place, that and I stopped walking everywhere once I got my license. I like decedent desserts, I like savory sauces, I love food. I also enjoy cooking, I have been told I have a knack for it. All this said, when I decided to change my lifestyle I didn't want to have to give up flavor. I still wanted to have tasty food. Being healthy shouldn't hinder my enjoyment. If I was going to make a change and stick to it I still had to enjoy life, and a big part of enjoying life is being able to eat. It is human nature to eat and not only to live but it has become a staple in human socialization. So, I had to find substitutes to my unhealthy staples. Chips where thrown away and popcorn was put in it's place. (yes, popcorn is better for you than chips) I had to clear out the crap and start finding yummy alternatives that satisfied both my stomach and my taste-buds. I started using fat-free yogurt in sauces and cutting out a large portion of the butter. I look for cheeses that are healthier and have less fat. I get whole wheat bread. A bunch of little changes make a big difference. On top of all the changes I had to change my attitude towards eating. I had to eat slower and allow myself to feel full. I had to realize that I didn't always have to eat everything on my plate and I could put left-overs in the fridge. So on the lovely topic of food and healthy alternatives I thought I would share one. This is a great alternative to cookies and is very much like a cookie but it has more nutritional value and will keep you filled for a longer time. This recipe is super easy and very taste. It yields approx. 24 servings and each one is approx. 120 calories. 1. Mix all ingredients in a medium bowl until well incorporated. 2. Let it chill in the fridge for about 30 minutes. Can be stored in an air-tight container and kept in the fridge for up to a week. 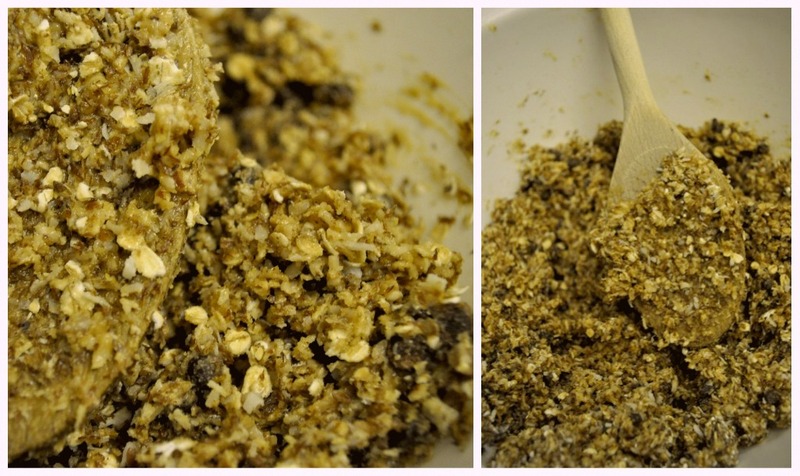 If it is quite crumbly just add a wee-bit more of one of the wet ingredients until you can roll it into a ball without it falling apart.